I found this recipe on another NZ blog Monkey Makes Three and it was perfect for a 9pm chocolate craving. Lonely nights with Dave away just make me want to eat arggghhh. And cook. I think about cooking all the time. Any way, back to the recipe. 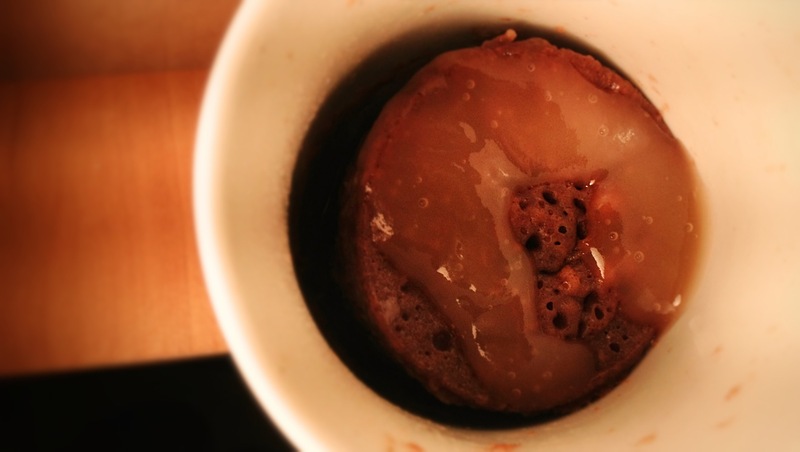 I realise I may be a bit late to the party with mug cakes but how cool is a mug cake party any way? Mum reckons it comes out like a steamed pudding, can’t say I’ve eaten too many of those but it’s a good quick fix for those lacking in chocolate supplies! – Mix in the egg, milk, oil and vanilla. Stir in the chocolate chips. – Evenly distribute mixture between 2 cups. – Cook in the microwave on high for 2 minutes. Tip into a bowl and eat.